How do you collectively conserve the landscapes and biodiversity that make Santa Barbara County special, while also maintaining the livability for all local residents? The Land Trust for Santa Barbara County, the Santa Barbara Foundation LEAF (Landscapes, Ecosystems, Agriculture, and Food Systems) Initiative, and the Cachuma Resource Conservation District came together to answer that question. Together they developed the Santa Barbara County Conservation Blueprint (Blueprint) and online Atlas. The purpose of the Blueprint is to provide a common language and platform for publicly available data to support in-depth conversations and informed decisions about the Santa Barbara County landscape. The Blueprint presents conservation topics within four thematic areas- water, flora and fauna, agriculture and ranchlands, and community and the land- and describes the impacts of climate change on each topic. The online Atlas provides nearly 300 publicly available science-based datasets that can be viewed as maps as well as analyzed and shared to promote better understanding of land use and natural resources. 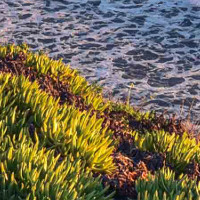 The Blueprint report and companion online Atlas mapping tool are the result of nearly two years of design, research, data collection, interviews, focus groups, and public input meetings by over 200 community members and offer a first step toward understanding Santa Barbara County’s current environmental conditions.